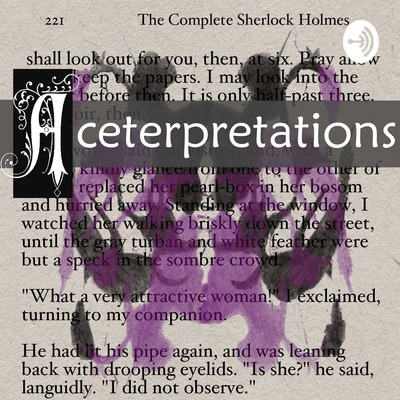 A podcast about asexuality, fandom, and where they intersect! BROTPs have been a part of fandoms for years - fulfilling relationships that remain platonic. Discussed are origins+definitions of "bromance" &amp; "queerplatonic", examples in popular media, more! We even touch on “skin hunger”/the Wire Mother experiments. Gen fic has less of a following than ship fic, yet for many asexual and/or aromantic fans it's an especially important genre. We discuss ways to find gen fic, the two aro hosts’ experiences being fic writers, the overlap between pre-slash & gen, and more! A staple of queer people's stories, in both real life and fiction: The Coming Out Tale. This month we co-hosts share our personal experiences with coming out, and show that some people plan theirs, others just wing it, and no two experiences are the same. Headcanons! This episode became a rabbit hole of soulmate AUs, superpowers, asexuality, aromanticism, part-bird people, and cake analogies. Listen to more terminology, the nature of headcanons, and our look at how asexuality works with this phenomenon. Introductions, vocabulary, shipping! Three aces share their nerdy adventures into fandoms ranging from Yuri on Ice to Sherlock, and how being on the asexual spectrum affected their experiences! Perhaps a cliché place to start, but necessary nonetheless.